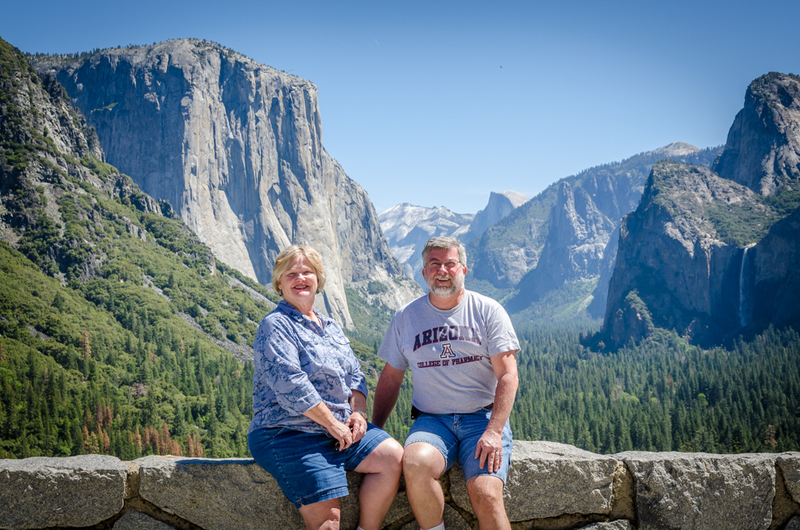 Charlene and Ed at Tunnel View with El Capitan, Half Dome, and Bridalveil Fall behind them. We finally made it to Yosemite National Park! For Ed, this has been the number one national park that we have not been to that was at the top of his bucket list. We have tried a couple of times in the past, but something came up preventing our visit (like a snow storm or change in vacation days). However, all that ended today. We celebrated our drive through Yosemite! 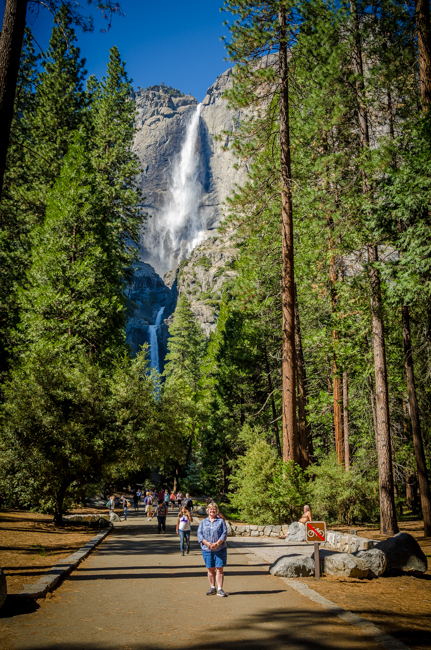 The quintessential photo (as reported by Michelle) is taken at Tunnel View looking down Yosemite Valley where El Capitan, Half Dome and Bridalveil Fall can be seen. This seems to be the ultimate “selfie” photo to always be treasured. Yosemite is simply beautiful. 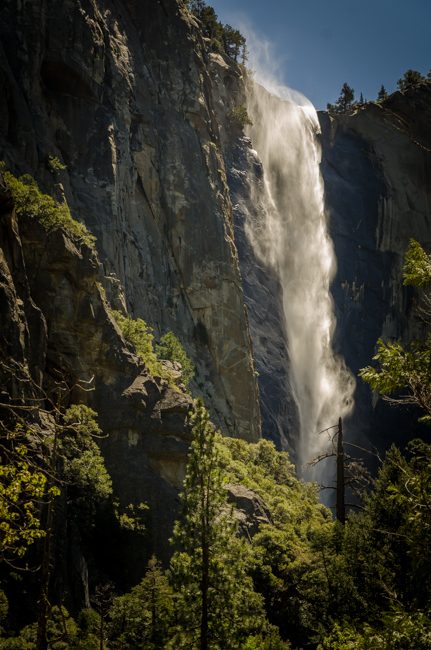 The huge granite cliffs, the powerful waterfalls, the beauty of the trees. All combined together, Yosemite is wonderful to enjoy! 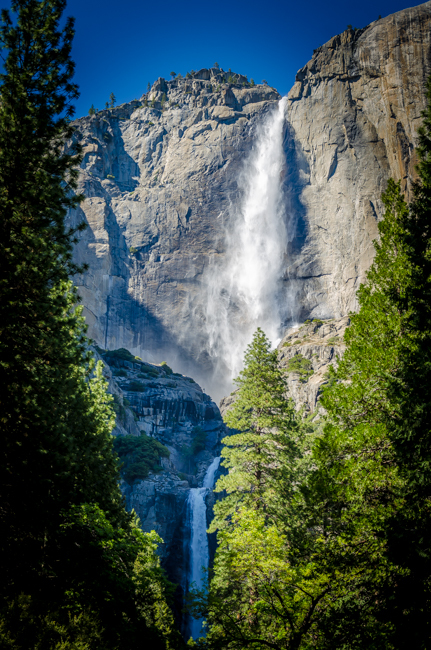 Charlene stands before Yosemite Falls. We loved all the waterfalls. John recommended Yosemite Fall. 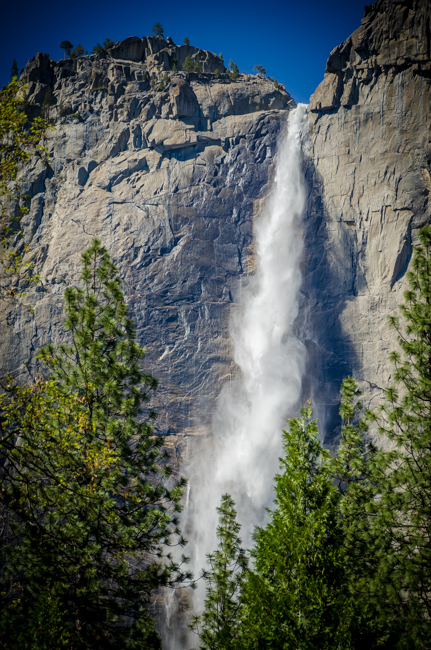 We were standing outside the Visitor Center and realized we could see Upper Yosemite Fall. We drove a short distance and hiked the very short trail and saw both the Upper and Lower Falls. We could feel the spray from the Lower Fall as we took pictures. 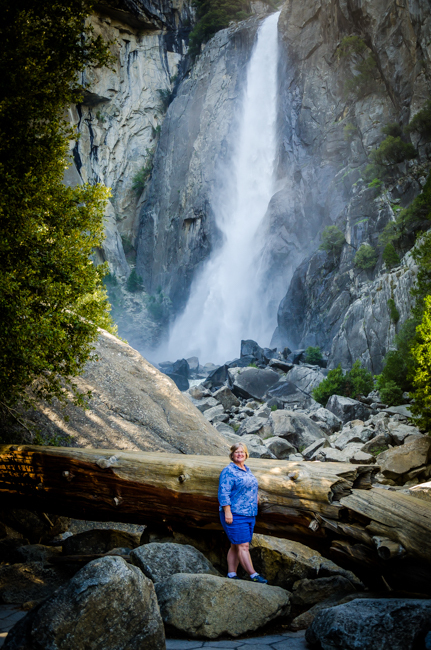 Charlene in front of Lower Yosemite Fall. 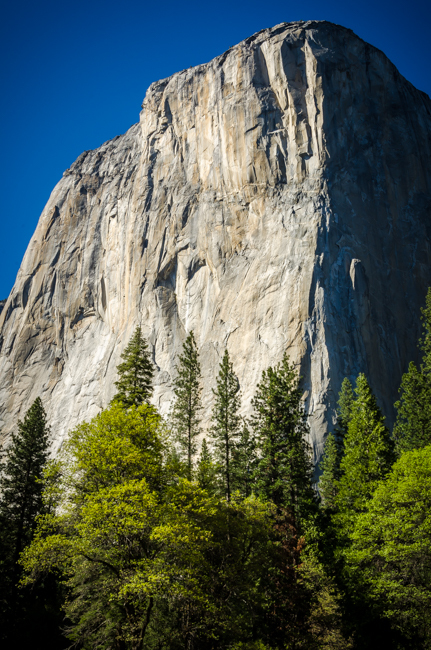 John also recommended El Capitan and we were awe struck with its majesty. You just have to look up and stare at its huge magnificence. It is so mighty and impressive! As Ed placed his tripod to take photos, we realized that thousands of others have placed their tripods in the same spot. However, it was special to share in the wonder of such a magical place. 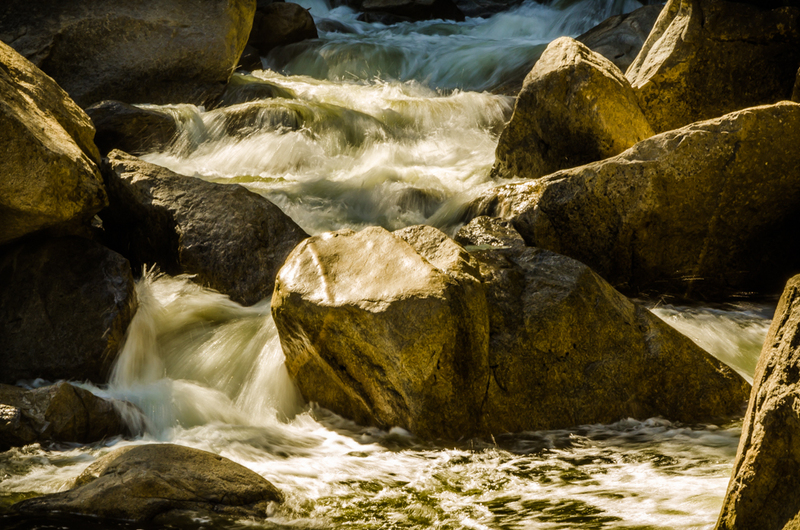 Yosemite is certainly a special treasure. The afternoon sun made these rocks look like nuggets of gold.